I want to create a custom wax seal for my niece. It involves a stylised (heraldic-like) rose and the letter R in the center. I'd say it's more complex than a normal, just letter seal, but by far not as complex as some flourished versions I've seen. I got a quote that seems relatively expensive to me (about 4 times more than a standard seal costs). Does anyone have experience ordering custom wax seals? And do you know if they are usually done mechanically – by hand, I mean – or rather by some sort of digital means (laser engraving?)? I got a custom wax seal stamp done from BacktoZero on Etsy - I think it was $25 and all I had to do was send a digital file for them to use. I'm not sure how they make theirs, I have a feeling is some kind of laser engraving, though. I'm very happy with the seal - kept all of the details of the logo I was using for it. 1 Like esmy77 likes this. I had a custom wax seal made for Dasherie. It came out fine. It wasn't as deep as I would have liked but I knew it wouldn't be when I bought it. Time was of the essence. I investigated this company: Nostalgic Impressions which seemed very good but was not available to make seals during that time frame. And they were much higher priced (but seemed good quality). I used: Wax Seals . com. It was the Dasherie logo and the lines were very fine. Overall, given what they had to work with, I'd say it came out OK.
You may want to check out: Black Market. They do very intricate designs and they are great. I have used black market and back to zero and they are both very good! the only thing is it takes awhile. @Jean Santos is an engraver, so it might be an idea to drop him a line, Stefanie. 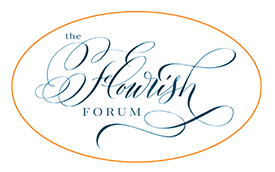 It would be nice to keep it in the Flourish Forum family as it were, wouldn't it? 1 Like Erica McPhee likes this. I had to engrave a few wax seals. 3 Likes Erica McPhee, AndyT and AAAndrew like this. Thanks everyone for your very helpful comments, @Raayynuh, @Erica McPhee, @esmy77, @AndyT, and @Jean Santos !! I had already looked at some of the suppliers (Black Market for example, their seals by HeyPenman look so faboulous … ), but some are new to me! I have of course the »problem« that I am in good old Europe, haha. So I'll DM you, @Jean Santos, thank you – you examples look great! I'll show you all the sealwhen it's done! 3 Likes Erica McPhee, AndyT and esmy77 like this. Hi everyone. This is Elizabeth from Black Market Wax Seal and Leather Stamp. When I am doing a research online, I see a mention about us on the Google result. I just want to update you guy that we have moved to a new website blackmarketintl.comhttps://www.blackmarketintl.com/ You can check it out for our new wax seal design and another cooperation project with Heypenman and other designers. Thanks so much for the update. I have changed the link in my post as well.